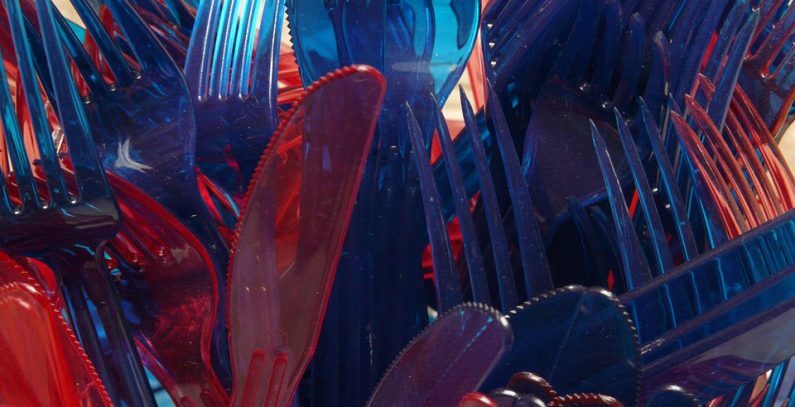 The European Parliament (EP) has approved a new law banning single-use plastic items such as plates, cutlery, straws, and cotton buds sticks. EU member states will have to achieve a 90% collection target for plastic bottles by 2029, and plastic bottles will have to contain at least 25% of recycled content by 2025 and 30% by 2030. The agreement also strengthens the application of the polluter pays principle, in particular for tobacco, by introducing extended responsibility for producers. This means tobacco companies will have to cover the cost of collecting cigarette butts, the second most littered single-use plastic item, Al Jazeera wrote. The legislation stipulates that labeling on the negative environmental impact of throwing cigarettes with plastic filters in the street should be mandatory, as well as for other products such as plastic cups, wet wipes, and sanitary napkins. According to the European Commission, more than 80% of marine litter is plastics. The products covered by this new law constitute 70% of all marine litter items. Due to its slow rate of decomposition, plastic accumulates in seas, oceans and on beaches in the EU and worldwide. Plastic residue is found in marine species – such as sea turtles, seals, whales, and birds, but also in fish and shellfish, and therefore in the human food chain.